Brazil is the largest economy in South America. It is also the eighth largest in the world. In 2017, it produced $3.2 trillion in goods and services, as measured by purchasing power parity. But its growth rate slowed from 7.5 percent in 2010 to -3.6 percent in 2016. It recovered to a 1 percent growth in 2017. Brazil also has stagflation. Inflation was 8.7 percent in 2016, although it has since slowed to 3.4 percent in 2017. What happened? When Dilma Rousseff became president in 2011, she increased public spending. She raised the minimum wage and forced the state-run banks to lend more. At the same time, the central bank lowered the discount rate from 11.5 percent to 7.25 percent. This triggered inflation, which Rousseff aggravated by cutting sales taxes and reducing prices on food, gasoline, and bus fares. Price controls hurt the profits of the state-owned oil company, Petrobras. Controls also hurt Brazil's formerly successful ethanol production. Business leaders curtailed investment in the face of such government intervention. This was only aggravated by problems in the government auctions of road and railway projects. Further interventions in the electricity and banking industries also exacerbated the economic situation. Thanks to this expansionary fiscal and monetary policy, inflation outpaced the newly raised wages. As a result, consumers cut back their spending. To curb inflation, the central bank raised interest rates in 2012, from 7.5 percent to 8 percent. This is the same type of stop-go monetary policy combined with wage-price controls that caused U.S. stagflation in the 1970s. In 2015, oil prices fell as the dollar strengthened. Oil is Brazil's primary export. As a result, Brazilian companies cut production and jobs. The value of Brazil's currency, the real, fell. A weaker currency raised prices of imports and increased inflation. In August 2016, Rousseff was impeached. She was convicted for moving funds among government budgets. Former President Luiz Inacio Lula da Silva, known worldwide as Lula, was jailed for corruption. In 2018, frustration with the liberal government led to the election of conservative Jair Bolsonaro as president. He promised to allow police to kill suspected criminals. He agreed civilians should be armed for self-defense. In 2017, Brazil had 64,000 murders. Bolsonaro pledged to open up the economy lowering tariffs and signing new bilateral trade agreements. He would cut public debt by 20 percent via privatization. He would also simplify the tax system and shrink pension benefits. As a result, Brazil's stock market rose 10 percent. So did the Brazilian currency, the real. He also wants to ease environmental controls on mining and agriculture. This could worsen deforestation in the Amazon rainforest. Despite his corruption, Lula played a critical role in strengthening Brazil's economy. He helped build a left-wing party that governed Brazil for over 13 years. He is the son of illiterate farm workers. He became a union leader who stood up to Brazil’s military dictators. When elected in 2002, President Lula made economic growth his top priority. He stimulated the economy by increasing government spending, providing government jobs to the middle-class, and developing Brazil's natural resources. In 2006, he won re-election against former Sao Paulo Governor Geraldo Alckmin in a landslide victory, 61 percent to 39 percent. In a highly unusual move for a Latin American country, Brazil paid off its debt to the International Monetary Fund a year ahead of time. Brazil's final payment of $15.46 billion was made in December 2005. The funds came from Brazil's monetary reserves of $66.7 billion. Lula enforced an economic discipline that helped it withstand the 2008 financial crisis. In 2007, Brazil's economic growth was 5.4 percent. Inflation dropped to 3.6 percent and the current account surplus increased to $3.6 trillion. As a result, Brazilians had more income to spend domestically. For these reasons, many investors agreed that Brazil was the strongest of the four BRIC emerging market economies. BRIC is an acronym for Brazil, Russia, India, and China. In addition, the local real estate market doubled between 2003 and 2008. This was helped by the creation of a local mortgage market. Fortunately, this did not suffer from the same fate as that of the United States. Brazilian banks continued to hold the mortgages and did not sell them to a secondary market. During that time, interest rates fell from 16 percent, loan periods grew to 30 years, and salaries soared. 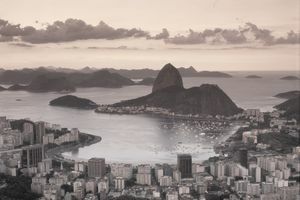 Although 70 percent of Brazilians owned their own homes, most were of low quality, giving homeowners both the equity and desire to move to better properties. Lula has been criticized by many. They claim many of Brazil's economic benefits went to the higher classes. Lula's spending aggravated some of the economy's fundamental flaws. The public sector needed to be streamlined to allow public debt to be further lowered without losing services. Education needed to be both more of a priority and more evenly distributed. In 2018, Lula was sentenced to 13 years in prison on corruption charges. In July 2017, he was found guilty of accepting a seaside apartment in return for contracts awarded to the construction company, O.A.S. It was part of a larger investigation into Lava Jato that convicted 120 people. Brazil is a political force in Latin America. It led in the creation of Mercosur, Banco del Sur, and the Group of 20 or G-20 coalition that represents developing country interests. It was a lead country for the Free Trade Area of the Americas. But it opposed the agreement when Lula became president. As a result of its leadership role, Brazil meets regularly in working sessions with the United States on trade and other issues. It continues to influence the rest of South America to be more pro-U.S., as opposed to the anti-U.S. sentiment of Venezuela and Bolivia. All these facts are stated in the websites of the IMF, Voice of America, and the State Department. Ruled by Portugal for 300 years, Brazil became an independent state. A military regime ruled the country from 1822 to 1985. In 1985, it became democratic. Only slightly smaller in size than the United States, it is the largest country in South America. It borders every country in the continent except Chile and Ecuador. It has 207 million people, 63 percent that of the United States. Its gross domestic product per capita fell from $16,200 in 2015. It was $15,500 in 2017.